Is it too late for New Year's resolutions? 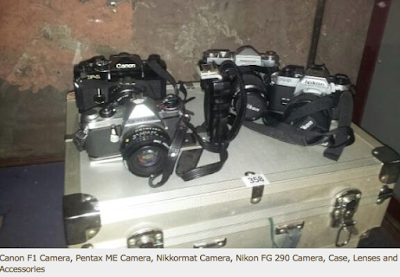 I desperately need to stop going to auctions as almost every time I do I come back with another camera. I might have to self ban myself otherwise I'll be needing a bigger house. I'm really chuffed with this acquisition, though. Can you guess what it is yet? 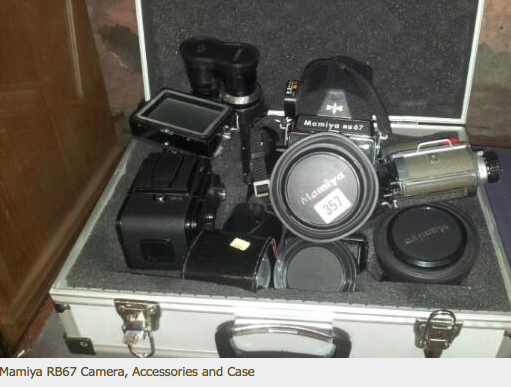 It's German, has a Tessar lens, coupled rangefinder and (had) a built-in light meter. For those who aren't camera geeks, it's a Zeiss Super Ikonta IV, the last of the legendary Super Ikonta line. I'm hoping I've really "lucked out" with the Super Ikonta and not counting chickens, the reason for the uncertainty being that I didn't check it as thoroughly as I'd normally do at the auction viewing. This local auction had about eight camera lots in amongst the usual bric-a-brac, furniture, crockery and what have you. I'd gone there to check out these lots, not even aware that the Super Ikonta was up for sale. Poor pics, no condition reports, not a lot to go on really. That's why viewing in person is vital. There were some nice cameras there, though, and although I didn't need anything it's difficult turning down a bargain so I couldn't resist the temptation to have a look. Sadly, genuine bargains are few and far between because the internet has turned everyone into an expert and it's easy to get a value for something in just a few clicks. Still, no harm in trying, is there? The above lots came up with a search for "camera" on the auction site. What didn't come up was the Super Ikonta so I wasn't looking for it. I'd had a good look at the lots above but decided that everything was too dodgy either because batteries were flat, lenses were scratched or "fungusy" or cameras just wouldn't fire or had some other obvious mechanical fault. Because there were some big ticket items in there - a Hasselblad, Mamiya RB67, Rollei SLX, etc - I knew there'd be a lot of interest and the chances of picking something up cheaply were low. I decided not to bother bidding. 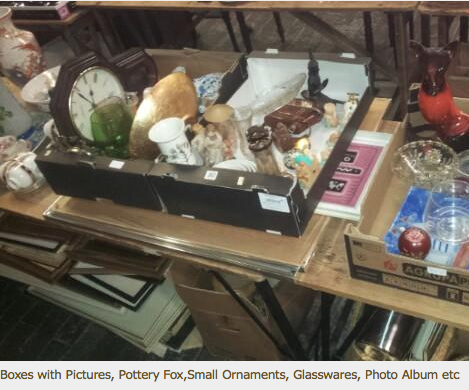 It was on the way out of the auction house that I saw a brown leather case in a cardboard box surrounded by pottery, glassware, etc (see below). The auctioneer likes to heap disparate items together for some reason. I'm guessing experience tells him he'll make more commission that way. Anyway, I almost kept going as old brown-leather-cased Voigtlanders, Agfas and Ilfords are ten-a-penny in these places. Something told me to stop. The case was in good condition, high quality and was embossed with ZEISS IKON on the front. The cardboard box with it's barely noticeable German treasure. It could have been a Nettar or similar, one of the cameras from lower down the Zeiss line-up but it turned out to be the range-topping 534/16 Super Ikonta IV. 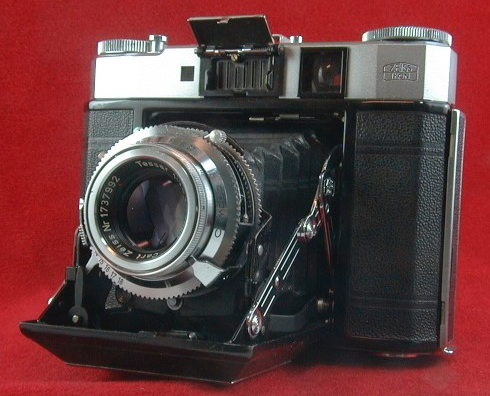 Although the "16" might suggest it's for the 6x4.5cm format, it's a 6x6 folder with a 75mm f3.5 Tessar lens. It was in great condition and appeared to be fully functional, apart from the selenium light meter which was fairly unresponsive. Normally and somewhat ironically, constant exposure to light tends to kill the selenium cells over time but the Super Ikonta has a wee hinged shutter that covers the cell. Apparently, that hadn't been enough to save the meter. The Ikonta's viewfinder could do with a clean but the rangefinder seemed spot-on. Attached to the neck strap was a smaller leather case with the original lens hood and a green Zeiss filter in it. The camera seemed OK but you never know for sure until you see results from it. Even the slow shutter speeds were running smoothly and the lens was rock solid with not a hint of movement. The light meter works on the EV principle. You take a reading, set the EV number on the camera and the shutter speed and aperture rings get locked together so that you can switch from speed to speed or aperture to aperture without having to make any further calculations. I wasn't exactly sure how to disengage this function and I didn't want to force anything so I couldn't see through the lens at open aperture on B to check its condition. And it's also difficult to tell what shape the bellows is in beyond noting that it seemed in once piece and wasn't moth-eaten or crumbly. When I got back to the car, I had a look on my phone for the Ikonta on the auction website and couldn't find it. It didn't appear under "camera", "Zeiss" or "Super Ikonta". When I searched for the lot number, which I'd noted at the viewing, all that came up was the pic above and the description beneath it. No mention at all of a camera. I knew that Super Ikontas were worth a bit of money and, since, like me, you'd have to have been lucky to have spotted it, I wondered if this might be bargain time. I had a 1930s/40s Super Ikonta once and sold it for about £150. When I did an Ebay search for the Super Ikonta IV, I found out that it's in a different price band altogether. 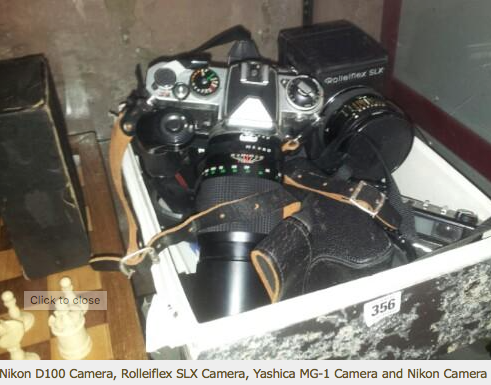 One in a similar condition to the auction camera recently sold in the UK for just short of £450. The lens hood alone sells for around £30. As I mentioned earlier, I need another camera like a centipede needs an extra pair of legs so I didn't want to bid much for it. I emailed my maximum offer of £62 and ended up winning it for a nice, round £50. Result! I'll pick it up tomorrow and will find out pretty quickly if it has any nasty surprises that I failed to identify. Fingers crossed. Incidentally, the auction was a good opportunity to play with some other cameras I hadn't tried before and form some brief opinions. I've never handled an RB67 off a tripod and found that it's a bloody monster. I'll never complain about the weight of the SL66E again. I footered with one a few years ago in the studio at the newspaper I used to work for and I'd never consider using one any other way now. It's just far too heavy for handheld work in my opinion. There was a Hasselblad 501c which was very nice but, like the SL66E, it sits out from the body because of the film magazine on the back. 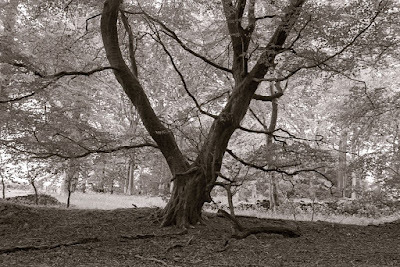 The Rollei SLX was a very pleasant surprise. It's not as sturdily made as the SL66E or a Rolleiflex 2.8F but there's no separate magazine so it lies close to the body like a TLR. Being an SLR, though, there's no parallax issue and it has built-in auto exposure and motorised film advance. The focusing screen is nice and bright as well. To be honest, I'd rather have an SLX outfit than the SL66. The latter isn't very good for hand-holding whereas the SLX is just like a TLR in that respect and I'd make far more use of it. However, the electronic SLX isn't perfect as they have a reputation for unreliability and knackered batteries. Anyway, back to the Super Ikonta. What am I going to do with it? I'm not sure yet. I'll keep it for a wee while and test it out but I suspect it will ultimately find its way onto the big auction site where its sacrifice will hopefully liberate enough cash for another lens for my Leica M2 - or maybe just pay the winter fuel bill. You lucky bleeder - hope it is all fine. A word in defence of Victor's masterpiece. The centre of gravity of the Hasselblad and the position of the neck-strap attachments ensure that the camera points downward and the flat base sits very comfortably on the chest. It protrudes much less and seems to bump and swing much less than a 35mm SLR and presumably a DSLR too. Even happier on a tripod of course. Ah! In a few words you have explained my problem. I need more interesting shoes. I get most of mine from British Heart Foundation charity shops. It's almost as if they've led an earlier life. If you strive for less bulk and weight but still top quality negatives - keep the Super Ikonta. That is of course provided it's fully functional. I have one of those in top shape, also the light meter. I also have the RB67 beast. The latter sitting on a tripod seldom to get out of the house; the former always in my bag among more dayly stuff, lunch box and all. The output Q/M (quality per mass) you get from the Zeiss is hard to beat. You will see this when you get it up and running. Maybe a quick fix for the meterproblem on the Zeiss.